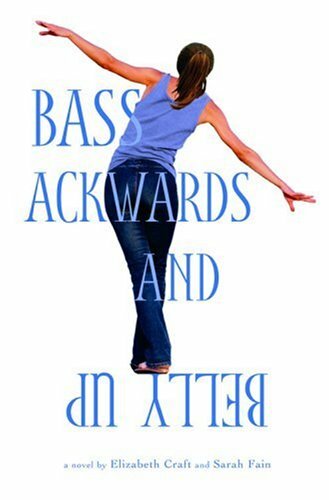 I was so intrigued by the title of Bass Ackwards and Belly Up because it seemed so original. But as it turns out ,the book is basically Sisterhood of the Traveling Pants with new high school graduates. The girls are friends forever, even though they are very different types. They end up going off to have all different types of adventures. But they keep in touch by phone and email, so they stay connected and there for each other. Harper started the mess. She didn’t get into NYU, but rather than tell everyone from the beginning, she waited until the night before Becca is going off to Middlebury. Then Harper tells the group that she is not going to college so she can follow her dream to be a writer. This announcement inspires Sophie to blow off college in Boulder to go to Los Angeles and become an actress. Kate was headed for Harvard, but decides that she needs to find her dream and heads on a European tour instead. Becca goes to college, as her dream is to go to college and ski, but is instructed by the girls to fall in love. There are all sorts of adventures, with some alcohol episodes and some sexual episodes (not discussed in much detail). It’s a fun book, but not as stellar as I had thought it was going to be. The book is also definitely older YA, which brings up the whole “YA or adult?” issue. I see it more as a nostalgic adult novel. A sequel is planned for May 2007, and while I’ll want to find out what happens next, I won’t be counting down the days until publication.